The Middle East -- from Yemen through Iran and India all the way north to Uzbekistan -- houses a variety of endangered species. Dwindling populations of both larger animals like the snow leopard and smaller animals like the Bunn’s short-tailed bandicoot rat are primarily due to habitat fragmentation and destruction. Habitat conservation and awareness are imperative in preventing these endangered species from becoming extinct. 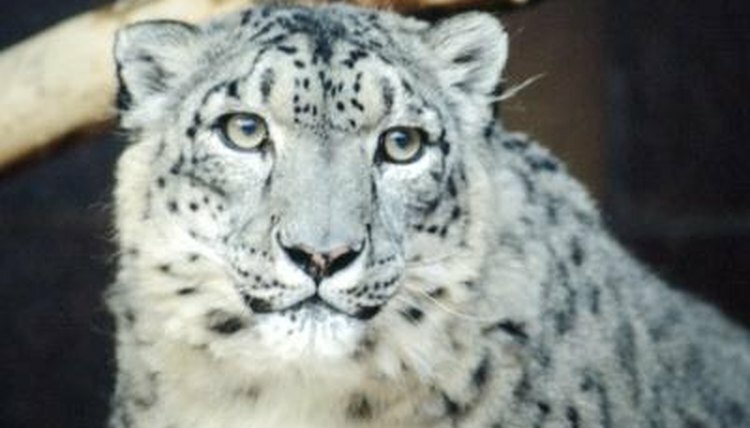 One of the best-known endangered large mammals in the Middle East is the snow leopard (Panthera uncia). These bright white-and-black carnivores inhabit high mountain ranges, but unfortunately their population has declined by at least 20 percent over the past 16 years. Markhors (Capra falconeri) are endangered wild goats with ornate, twisted horns endemic to the Middle East. They are found in higher elevations from 2,000 to almost 12,0000 feet in northeastern Afghanistan, northern India, Pakistan, southern Tajikistan and southern Uzbekistan. Another large mammal, the Saiga antelope (Saiga tatarica), is facing near extinction in the wild. The IUCN lists these antelopes with the bulbous noses as critically endangered; their population is currently fewer than 50,000 in the wild, down from around 1 million in 1994. The Arabian tahr (Arabitragus jayakari) is the smallest -- and currently the only endangered -- species of tahr. Similar to other mountain goats, Arabian tahrs prefer mountainous slopes in Oman and the United Arab Emirates. Aside from the tahr, exotic animals aren’t the only species falling victim to dwindling populations. Species of common animals like dogs and cats are endangered as well. The Asiatic wild dog (Cuon alpinus) and the 15- to 30-pound fishing cat (Prionailurus viverrinus) are both endangered in the Middle East. Additionally, several species of Middle Eastern deer -- Himalayan musk deer (Moschus leucogaster), Kashmir musk-deer (Moschus cupreus) and Persian fallow deer (Dama mesopotamica) -- are also listed as endangered on the IUCN Red List of Threatened Species. Smaller mammals tend to have less of a problem when it comes to habitat destruction than their larger counterparts; they simply require less space in which to flourish. However, the Bunn’s short-tailed bandicoot rat (Nesokia bunnii) and the Dahl’s jird (Meriones dahli) are both exceptions. The Bunn’s bandicoot rat is native to the marshes and swamps of Iraq, which were extensively drained and destroyed during the years leading up to the Iraq war in 2003. Their current population is less than half of what it was before the drainage. The Dahl’s jird is a rodent similar in appearance to gerbils. These rare rodents inhabit sandy areas in Armenia, Turkey and Azerbaijan. They were first listed as endangered on the IUCN Red List of Threatened species in 1996. Middle Eastern bird populations have fared slightly better than mammal populations. Currently, three bird species are listed as endangered on the IUCN list: the Egyptian vulture (Neophron percnopterus), the Eurasian peregrine falcon (Falco peregrinus peregrinus) and the ostrich (Struthio camelus). The largest living bird, the ostrich, lives in Jordan, Saudi Arabia and Spanish Sahara, where it has been listed as endangered since 1970.